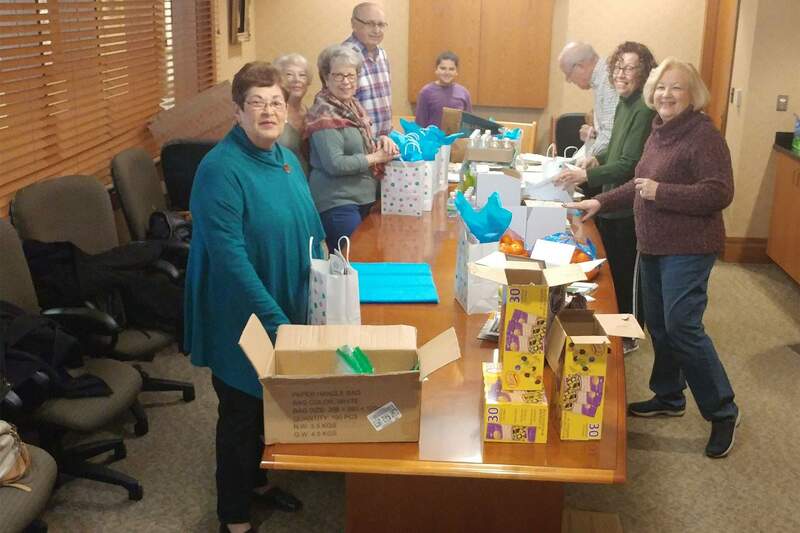 Shaare Emeth strives to fulfill the Jewish value of gemilut chasadim, acts of lovingkindness, by recognizing and responding with compassion and love to significant moments of both joy and pain in the lives of Shaare Emeth members. For additional information, please contact Debbie Bram at [email protected] or 314-569-0010. Shiva Committee: Members visit houses of mourning and deliver our R’fa-ei-nu book of healing prayers and readings. Roshei Minyan: Leaders of worship. Members lead shiva services in congregants’ homes. Bikkur Cholim Visiting the sick. Members send notes of healing and well-wishes to congregants who were in the hospital. Simcha Notes: Notes of Joy. Members send notes of congratulations to people who are celebrating a simcha (such as a special birthday, anniversary, or birth of a new baby). Condolences and Simcha notes in The Bulletin: We want to share our condolences for lost loved ones as well as celebrate happy events in members’ lives with the whole Congregation! Chicken Soup and Blankets: Our committee makes homemade soup that is delivered to homes of congregants who are either sick or could just use a chicken soup pick-me-up. Please email Debbie Bram if you or someone you know would benefit from this service.